Welcome to Fairhope, Alabama! This website contains information on our unique city including the internationally acclaimed Fairhope Arts and Crafts Festival. many advantages of Fairhope and its unique history as America's only "Single Tax Colony." 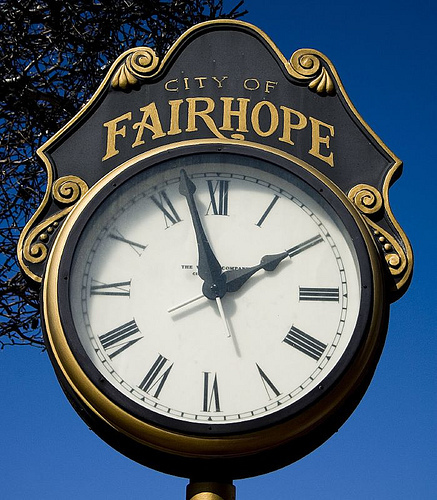 If you're not familiar with Fairhope, you owe it to yourself to discover our beloved community. In addition, the Fairhope area was recently named by the respected Policom Economics Research Group as one of the strongest small market economies in America! read William Bruce's blog (some of which is about Fairhope), please click here. To explore the possiblity of owning a Fairhope business, please visit Fairhope Businesses for Sale by William Bruce. Fairhope Alabama restaurants, shops, galleries and the Fairhope Arts & Crafts Festival.